This card has been posted. It was sent to New Jersey. 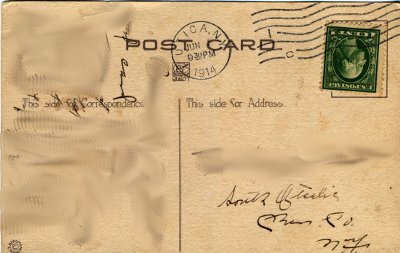 Its postmark is from 9:30pm, June 5, 1914. Its copyright is "S. Bergman, N. Y. 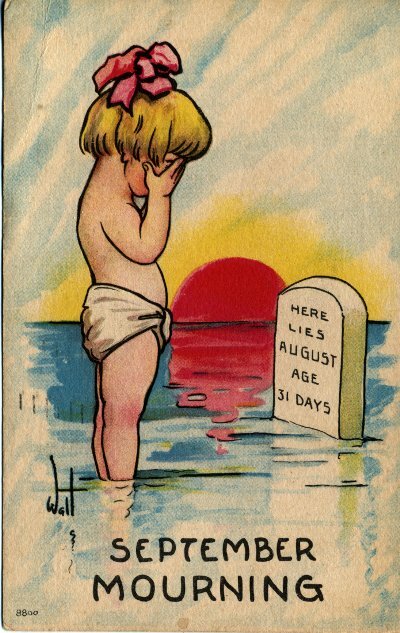 1913." 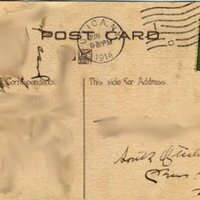 Postcard image is published before 1923 and is therefore in the public domain. From collection of CSF. 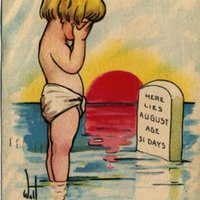 "September Mourning," in September Morn Archive, Item #57, http://septembermorn.org/items/show/57 (accessed April 21, 2019).